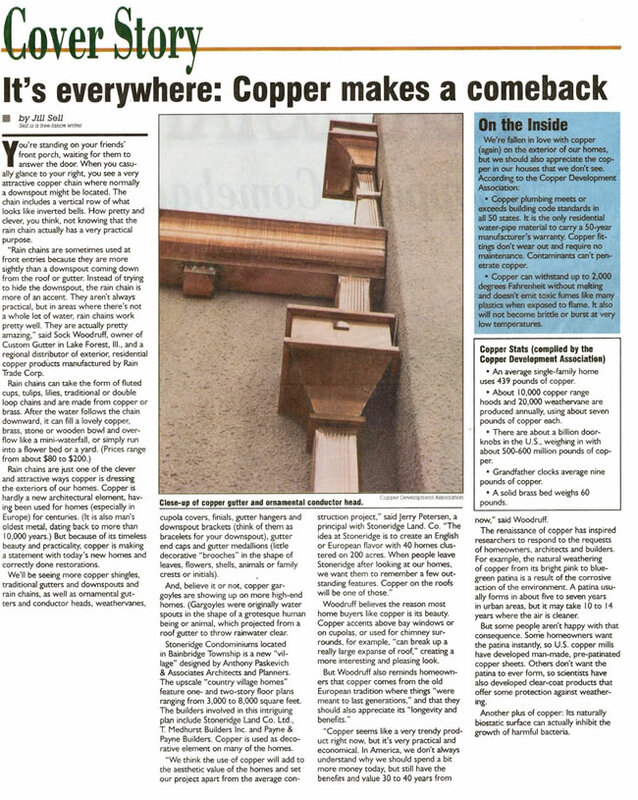 This article published by Cleveland, Ohio's Plain Dealer, highlights the fact that the homeowners have fallen in love with copper (again) on the exterior of our homes and that we appreciate the copper that is used inside the homes, even when we don't see the copper. 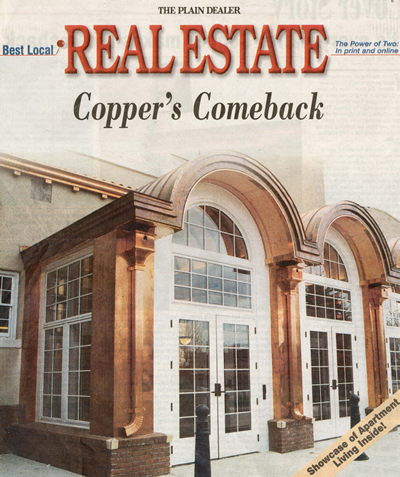 According to this article, because of its timeless beauty and practicality, copper is making a statement with today's new homes and restorations. It projects that consumers will be seeing more copper shingles, traditional gutters, and downspouts and rain chains, as well as ornamental gutters and conductor heads, weathervanes, cupola covers, finials, gutter hangers and downspout brackets, gutter end caps and gutter medallions. Copper Arches over the Entrance Doors at City Hall in Ponca City, Okla. The full article, which can be viewed here, is reproduced with the permission of the Plain Dealer.